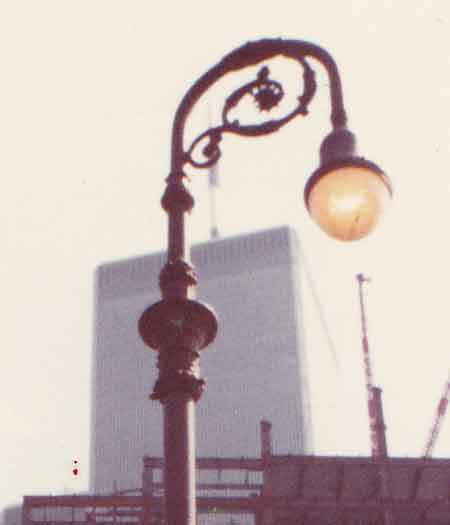 Back in 1982, before the retro bishop crook lampposts became ubiquitous, finding an old one was still a treat. 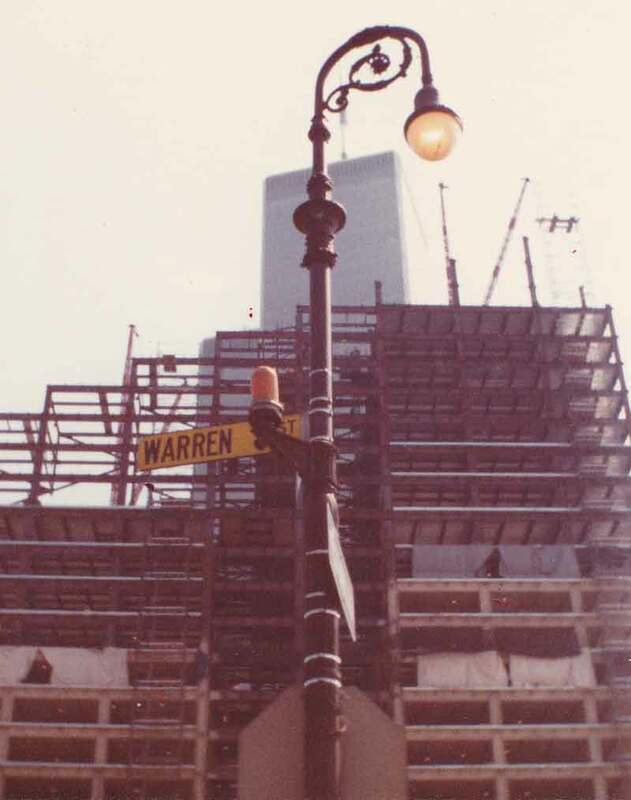 This one stood, hopefully still does as I write this 30 years later in 2012, on the corner of Warren Street, and what I think is Washington Street, just north of the late World Trade Center, whose northern tower is visible in the background. Taken from another view, this area was in the midst of construction activity, with a huge overgrown lot awaiting its turn to host a skyscraper. 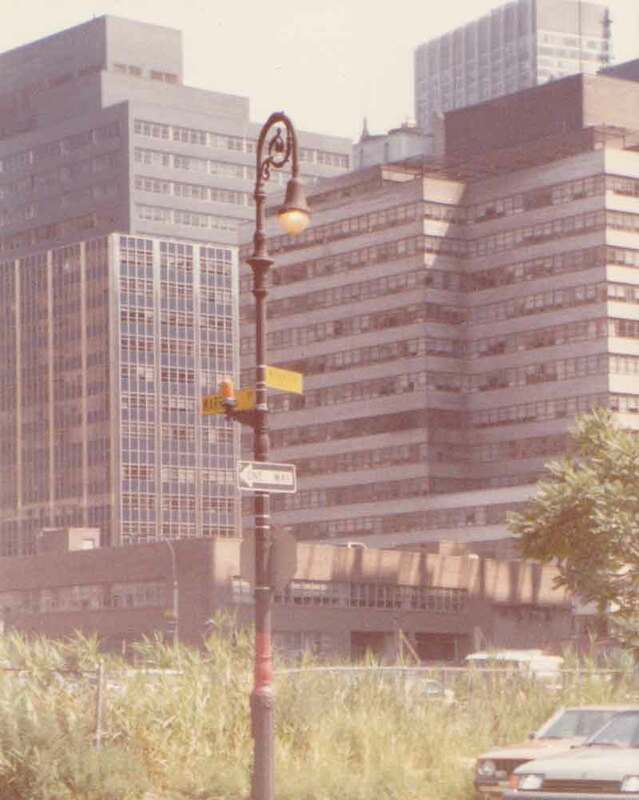 A few early 1950s era office buildings line the backdrop. As close up a close-up as I could cadge from this 110 film photo scan. 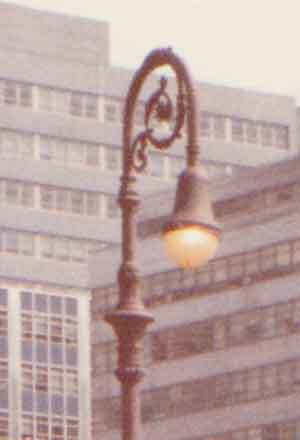 This lamp post sported what was likely a pre-war or 1940s era pendant luminaire that I lovingly nicknamed the Bell. There were at least two variants of the Bell. This one I believe was the more prevalent and the only one I was aware of as a child, when they were worn by most of the cast iron poles I came in contact with then. That the light was on in the middle of the day was likely due to a faulty photo cell switch .